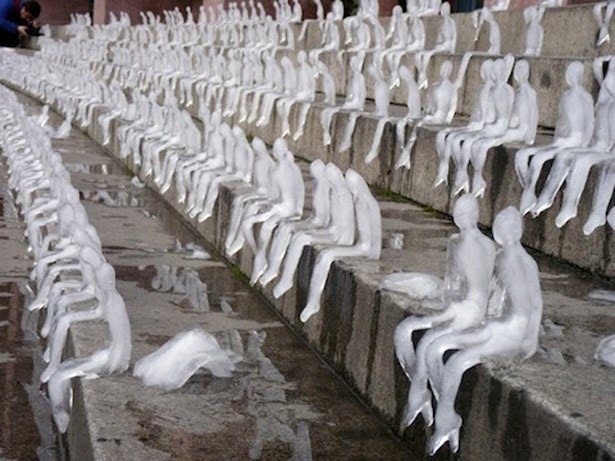 On Sept 2, 2009 the Brazilian artist Nele Azevedo created hundreds of sitting figures out of ice at Gendarmenmarkt, Berlin - Germany. The installation lasted till the last one melted in the heat of the day. It represents that Global Warming is fast approaching and it effects everyone.